The exercise of contrasting sensations with other mental phenomena can be systematized in a ''sensory phenomenality plot" (Fig. 1). By plotting the degree of corporality and alerting capacity for different mental phenomena, such a figure reveals that those states that possess both corporality and alerting capacity correspond precisely to cases that provide true sensory experiences. (But note, importantly: we consider that our plot only charts the degree to which mental phenomena have sensory or perceptual quality, and not consciousness per se. In particular, when we claim that thought has no sensory quality, we are not saying that thought is not conscious-more on this in section "Consciousness". Fig. 1. A sensory phenomenality plot. corporality and high alerting capacity, as mentioned above in the definition of these terms. High corporality derives from the fact that changes in head or limb positions have an immediate effect on visual, auditory or tactile sensory input (smell is less clear, but sniffing, blocking the nose, and moving the head do affect olfactory stimulation; Steriade, 2001). High alerting capacity is provided by the fact that sudden changes in visual, tactile, auditory, or olfactory stimulation provoke immediate orienting behaviors that peremptorily modify cognitive processing. What characterizes pain is its particularly large amount of alerting capacity. Here it is virtually impossible to prevent oneself from attentively focusing on the noxious stimulation. Pain also has corporality, but to a lesser extent. Moving one's body can generally modify the pain (one can remove one's finger from the fire; rub the aching limb and change the incoming sensations), but there are cases like headaches or toothaches, which are more problematic. 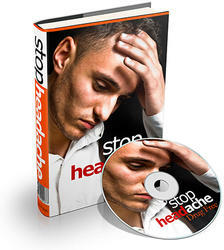 Headaches and toothaches are characterized by the fact that associated sensory input changes only moderately as a function of things that one can do such as press on the head or chew with one's teeth. This lack of an ability to easily modulate the sensory stimulation by body motions, i.e., a reduced corporality, could possibly correspond to a particular aspect of pain, such as headaches, which distinguishes them from vision, touch, hearing, and smell, namely that they have an interior quality, often not clearly localized. We have plotted thinking and recalling from memory at the other extreme, because they have neither corporality or alerting capacity, as we have pointed out above. Proprioception is the neural input that signals mechanical displacements of the muscles and joints. Motor commands that give rise to movements necessarily produce proprioceptive input, so proprioception has a high degree of corporality. On the other hand, proprioception has no alerting capacity: changes in body position do not peremptorily cause attentional resources to be diverted to them. We therefore expect that proprioception should not appear to have an experienced sensory quality. Indeed it is true that though we generally know where our limbs are, this position sense does not have a sensory nature. The vestibular system detects the position and motion of the head, and so vestibular inputs have corporality. However, they have no alerting capacity. This is because although sudden changes in body orientation immediately result in re-adjusting reactions, these do not per se interfere with current cognitive processing. Coherent with our expectations, therefore, the vestibular sense is not perceived as corresponding to an experience. We know we are standing vertical, but we do not have the experience of this in the same sense as we have the experience of hearing a bell or seeing a red patch. Speculatively, we suggest our plot also can track phenomena intermediate between sensory and mental states. Richness is one of the several examples very tentatively included as points in Fig. 1. The feeling of being rich is a case where there is a limited form of corporality (there are things one can do when one is rich, like getting money from the bank teller, buying an expensive car, but this is nothing like the immediate and intimate link that action has on visual perception, for example), and little alerting capacity (there is no warning signal when one's bank account goes empty). As a consequence, the feeling of being rich is somewhat, though not entirely, sensory.